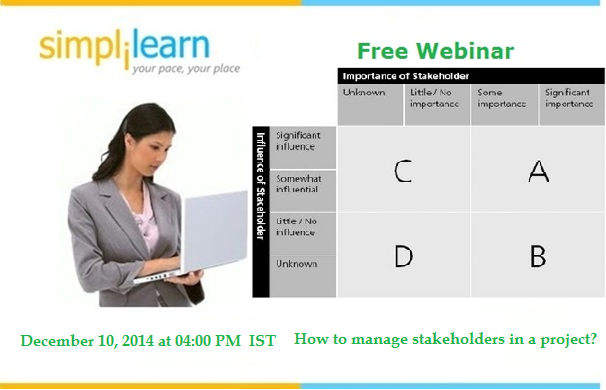 Join us for a webinar on stakeholder management. Stakeholder is very important in a project across industries. Stakeholder is anyone who can affect or can be affected by any changes in a project. Each stakeholder like customers, clients, product owners, team members will have different approaches towards project management and to manage them effectively is the ideal idea. Interact with our expert and understand stakeholder management better during this session.